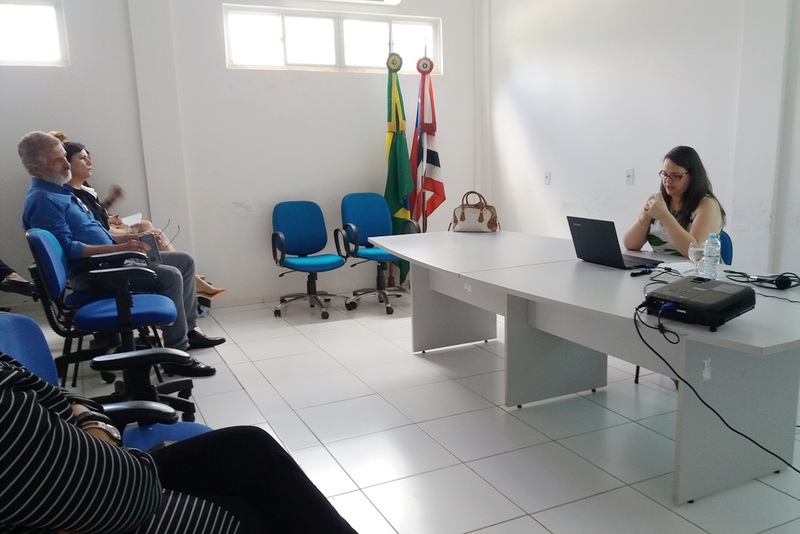 Pro-rectory of Undergraduation of the State University of Maranhão (UEMA) accomplished a roundtable talk on “Scientific Literacy in Brazil and Japan through PISA’s Results”, with Prof. Dr. Andriele Ferreira Muri Leite, of the Federal University of Rondônia (UNIR), on March 26th, 2019. 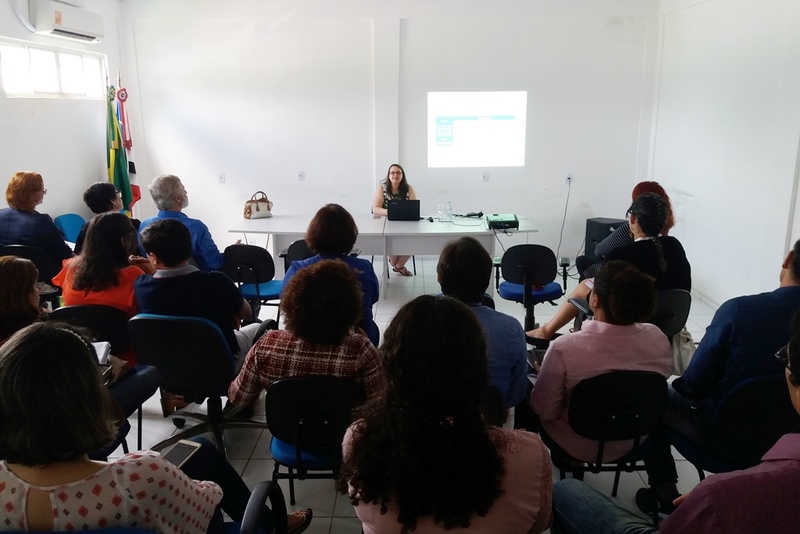 Andriele Muri has received, in the area of Education, “Capes Thesis 2018 Award” on her PhD thesis, defended in 2017 at the Pontifical Catholic University of Rio de Janeiro (PUC-Rio). 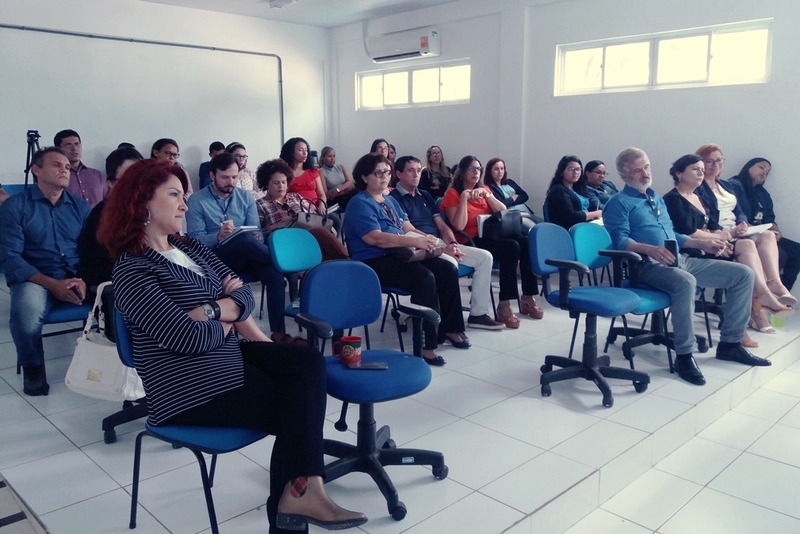 The objective of the roundtable was to present the results of her thesis and share with the community of the UEMA’s faculty about the concept of scientific literacy, new methodologies and the improvement in the education of Brazil. “I believe in an education which can transforms and make liberates. So, let the gags fall that we form people with critical thinking, who will change something in our society” she said. According to pro-rector of Undergraduation Zafira da Silva de Almeida, the thesis developed by professor Andriele has a very great support, having been award twice by Capes, in Education area and with Capes de Tese 2018 Grand Award in Social Sciences area. “Therefore, we want to learn a little more about this experience in the science as an instrument to improve the teaching quality, both in the fundamental and undergraduate. This can be very important for us to advance here at UEMA, within taking the possibilities in our school of implementation, where assets of the licentiate, research projects and extensions can be developed and, perhaps to be an interesting proposal for our living laboratory, Center to the Middle School Paulo VI” Prof. Zafira Almeida Said. 1- Are there differences of cognitive competence in Science among Brazilian students and those from other countries, especially Japan, in the PISA? ; 2- Are there items of PISA 2006 that present differential functioning, with Brazil as a reference ? ; and 3- Is it possible, based on the PISA data and the complementary adoption of a qualitative approach, to identify different curricular emphases and/or pedagogical practices in Science Education in Brazil and Japan that contribute to the understanding of differences in performance among their students? The results shows that that more than 20% of official classroom time observed in Brazil is wasted with questions other than effective teaching of science, 10 times more than in Japan. In Brazil, there is a more pronounced curricular emphasis in Natural and Biological Sciences. In interviews with experts in Science Education and PISA managers, of both countries, it is shown that Japan’s success in this assessment is associated with the existence of a common national curriculum, the ongoing in-service training of the teachers and the reforms taken in their education system, as raised by the PISA in their results in this assessment. Moreover, the low performance of Brazilian students in PISA would be related to the lack of preparation of the students, their lack of familiarity with the test, poor teacher training and the limited use of the evidence produced by the large scale evaluations. Professor Muri concludes her thesis exposing the needs of improve the basic education in Brazil, particularly, the Sciences Education, that must be viewed more vehemently. “After all, a suitable Sciences Education stimulates the logical reasoning and the curiosity, helps to form citizens better able to face the contemporary society challenges and strengthens democracy, giving to the population better conditions to participate in increasingly common debates on scientific issues which affect our daily life”, she affirmed. Andriele explained the reason of choosing the Education system of Japan to her research. Before she went to the country for the first time, in 2007, to accomplish a training program for teachers she was working in the field Biology, specifically, with the biology of amphibians, but when she came back to Brazil she turned her mind was toward the Sciences Teachings. “My experience in Japan made me rethink about practice about many things. Therefore, I’d decided to do another master degree, maybe, in the field of Education”. With a master and a doctorate degree in Education, Andriele always wished to develop a comparative study between Brazil and Japan, even she knowing that are completely different realities. “At least, I believe, actually say that, the Japanese people have experiences, which can be observed with more open eyes, for the things that really work. The Japanese education is much better and there have a lot of thing that can be learn from them. After all, science and technology define the development of a country”, she clarified. Besides the PhD degree in PUC-Rio, Andriele Muri did her doctorate, entertaining the sandwich program of 8 months in the Tokyo Gakugei University, where she had previously been availing the MONBUSHO scholarship holder in the Teacher Training Program (2007/2009). Currently, she is working on a post of professor at the Department of Education of UNIR. She is also author of the book “Scientific Education in Brazil and the PISA” and her researches are in the fields of Education and Science Teaching, with emphasis on “Evaluation of systems and Educational Programs” and “Comparative International Assessment and Educational Inequalities”. The Programme for International Student Assessment (PISA) is a triennial international survey which aims to evaluate education systems worldwide by testing the skills and knowledge of 15-year-old students who are nearing the end of their compulsory education. Every three years students are tested in the key subjects: reading, mathematics and science. The test is developed by the Organization for Economic Co-operation and Development (OECD) entity forms by government of 30 countries that have as principles the democracy and the market economy. Non-OECD countries can also participate in Pisa, as is the case of Brazil, invited for the third consecutive time. The main objective of Pisa is to produce indicators that contribute, inside and outside the participating countries, to discuss the quality of basic education and to support national policies for the improvement of education.